Tearing up the ‘old skool sports rule book’ we have developed and fine tuned our schools module to offer the students a truly unique, adrenalin filled, exhilarating experience inviting them into the world of extreme sports and mountain biking. But most importatly all this is done whilst having fun and enjoying this new found experience. 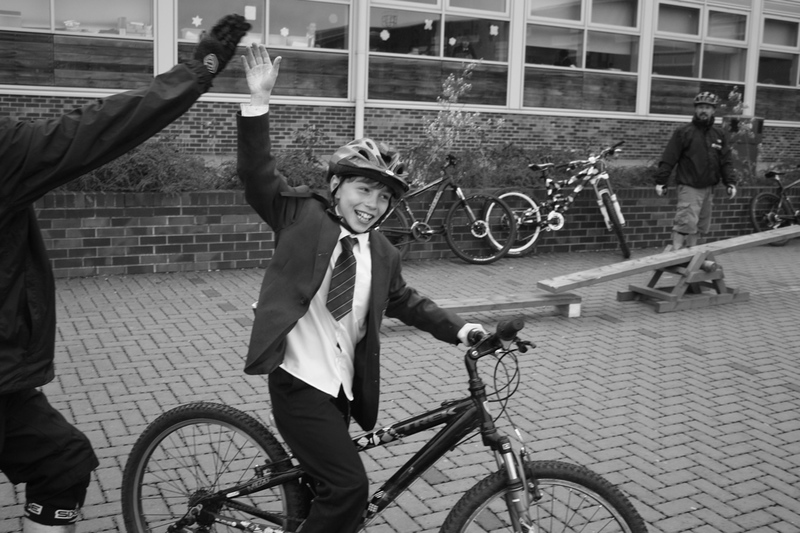 Let your students ‘Ride the Dream’ with MTB Instruction. Courses are run over a 6 week term and can be run as an after-school club or during curriculum PE. For more information and a copy of our schools pack please contact Mark on 01908 568019 / 07545 184715. MTB Instruction has just completed an excellent six week experience for our students as part of our Volunteering and Leadership Hub sessions. The students really improved their cycling skills and their overall confidence during these sessions, and we identified some really talented riders that we hope to develop further. The instructors ensured the activities were challenging and differentiated as we had a real range of riding and experience and a few characters within the group. The students felt that they were taking risks even though it was all managed in a controlled and safe manner by the instructors. The students were involved in our recent Parents Evening demonstrating their new skills to our Prospective Year 7 students, which certainly added a new dimension to the evening! All of the students have signed up for a further six weeks which tells me all I need to know about the quality of the experience. We look forward to the next half term, when they will be able to experience night riding through the woods! Thinking of introducing our schools module into your school? Why not have one of our free demo days. For more information on organising a demo day and a copy of our schools pack please contact Mark on 01908 568019 / 07545 184715.